Sarkodie Vs Shatta Wale: Who is Richer? The ultimate beef between the two Ghanaian artistes continues as the Famous Rapper, Sakordie released a diss Track of Shatta Wale title ‘My Advice’ telling him to shut up. 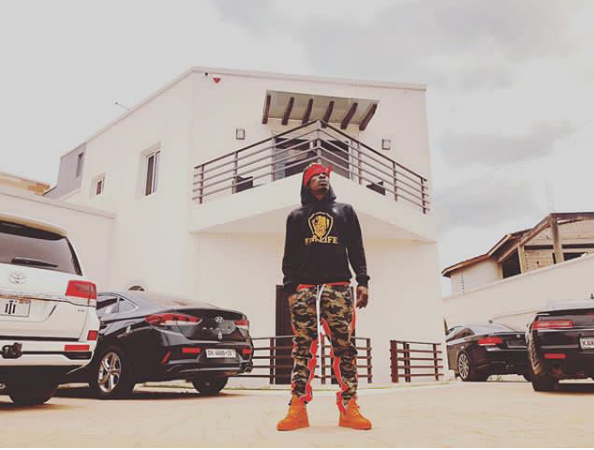 The diss track did not just come unexpectedly, rather Sakordie was waiting for the day Shatta Wale would snap out of it, but turns out he did not, so Sakordie had no choice but to release the song. In September this year, Shatta Wale came out in an Interview to call Sakordie “Kwasia” which means “a fool” in English, claiming he always sings to talk about the problems of their country, Ghana, but never came out for once to support their community. This is not the first time Shatta Wale is coming at artistes and others, there was a time he came for the President of the Federal Republic of Nigeria, saying that the president is always travelling and is never found on duty. 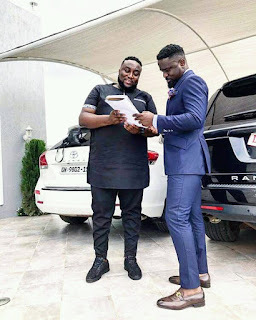 Also earlier last year, he called the Nigerian Artiste, Timaya “A Shame”, saying he should have continued selling his plantain chips rather than being on stage, claiming he should come over to Ghana to see what a real king of Dance hall really looks like. As if that was not enough, he also came for Nigerian star boy, wizkid. But this final one got to the neck of Sakordie that he had to reply with this great come back “diss” track”. There are a lot of information to the lyrics which concerns Shatta Wale; it reads “me on this beat go cos you some damages, last year, I went thru some challenges”, he further asked Shatta Wale why they can’t just love each other when they are flourishing. He hit him with this, that with all his bragging around, his whole bank account cannot buy him a new vogue, but he is claiming supremacy. 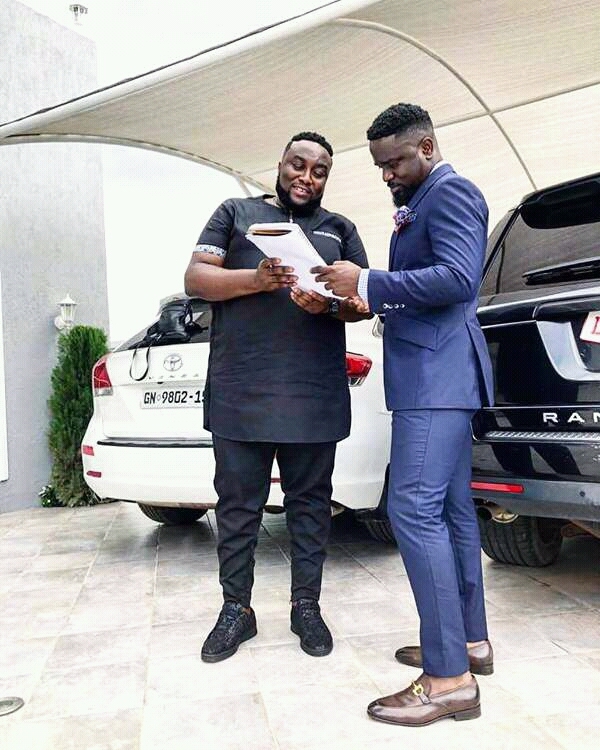 Sakordie’s lines in the song implies that at some point, he had to put his career on hold so as to make upcoming artistes succeed and saying his mission is to make sure Ghana moves forward and bring all artistes together. His real name is Michael Owusu Addo, Born on the 10th of July, 1985 making him 33 years old. He was born in Tema, Ghana where he had his elementary education and where he also earned his degree studying Graphic Design at IPMC in Accra, Ghana. The song that brought him into limelight was “baby” which featured Mugeez. Sakordie has his owned foundation which was launched in the year 2013; the aim is to support those children that are underprivileged. He has also bagged some endorsements and has his own clothing line called “Sark by Yas” launched on the 27th of April, 2013 which deals in accessories for both men, women and children. According to Forbes, his net worth is estimated to be about $7 million. The reggae and dance hall performer, Shatta Wale was born as Charles Nii Armah Mensah Jnr on the 17th of October, 1984 (Age 34) in Accra, Ghana. He is popularly referred to as the Dance hall king, he is also the CEO of his own record label, Shatta Movement Record. His father was a politician in Ghana and a legal practitioner. He had his elementary school in Accra, Ghana where he developed his affinity for arts. His father exposed him to the Jamaican culture which is Raggae, so at a point in his life, travelled to Jamaica to master his crafts. He is a philanthrophist and was a mayor. His current net worth is estimated to be $6.2 million.